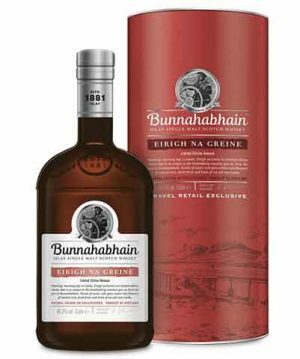 Here is the 18 year old expression, non-chill-filtered, and bottled at a perfectly suited 46.3% abv. 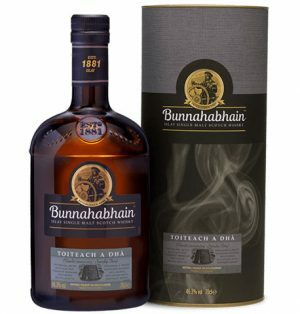 The nose is smoke and sherry. 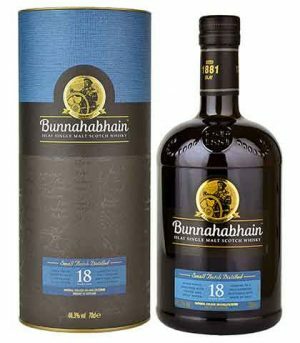 Bunnahabhain 18 year old was awarded the Jim Murray Whisky Bible 'LIQUID GOLD' status in 2011. 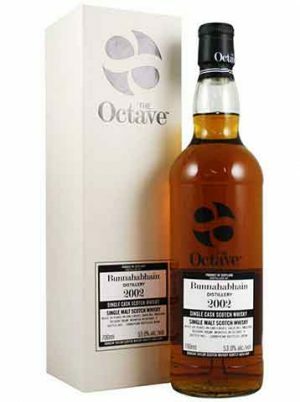 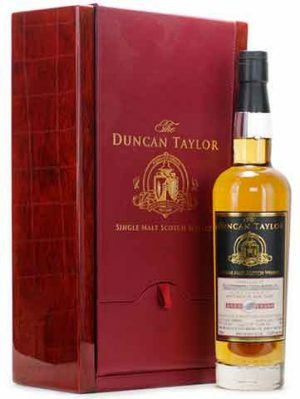 A single cask Bunnahabhain, bottled by Duncan Taylor as part of their Octave series. 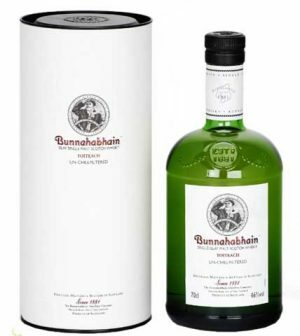 Distilled 2002, bottled 2018 at 53.0% abv, 62 bottles produced, individually numbered . 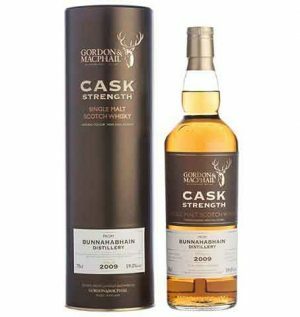 Cask #3821333. 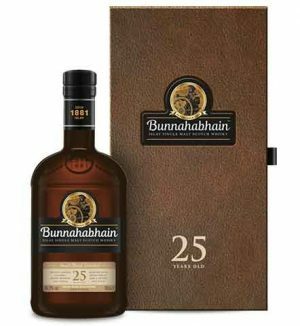 With a strong sherry influence, the 25 Year Old is the perfect example of how well Bunnahabhain matures and the extent of the complex range of sweet oaky layers and nutty flavours which can be achieved by those few extra years in cask. 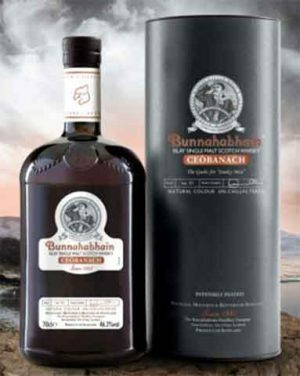 Distilled at Bunnahabhain in 1989 and aged for 22 years in a single cask (number 5663) before bottling in 2012. 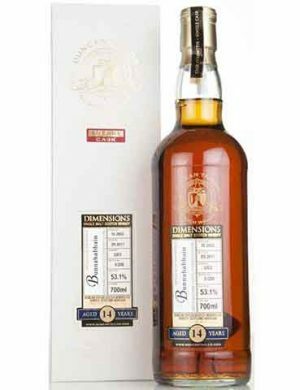 A release of 252 individually numbered bottles from Duncan Taylor's Dimensions range. 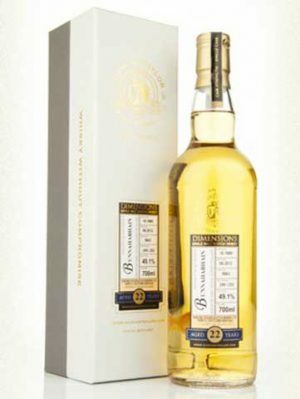 *A magnificent bottling, nearly sold out. 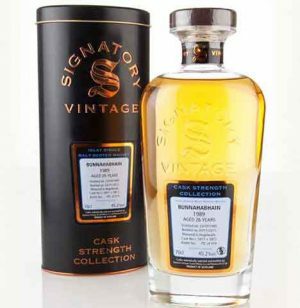 This unpeated Bunnahabhain was distilled in 1989 and bottled at 45.2% abv by Signatory for their Cask Strength Collection in 2015. 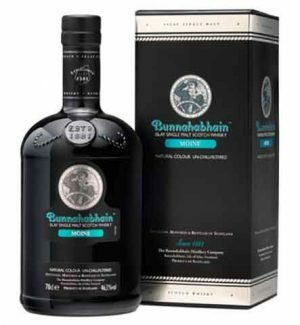 Bunnahabhain Moine is a limited edition, single batch, malt scotch whisky distilled, matured, and bottled at Bunnahabhain, crafted by Master Distiller Ian MacMillan. 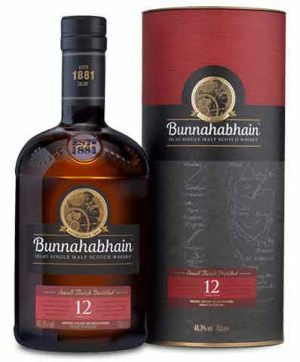 (Bunnahabhain did release a whisky with the exact same name in the past, but it was a limited edition Olorosso cask release. 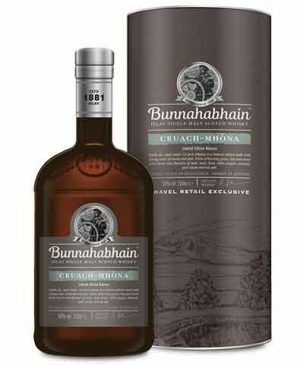 This one is a whole different thing, just with a similar name) It is a NAS peated, un-chill filtered with no added color and released at 46.3% abv. 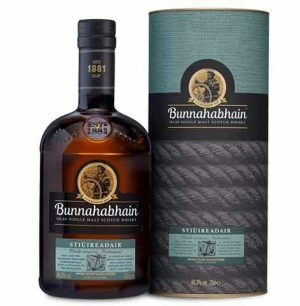 "Extremely smoky taste with a character of, pear, lion honey, straw, oyster bowl, vanilla, tar, grapefruit and salmiak (salty liquorice)"
"refreshing with peat, smoke, iodine and diesel...Earthy tones with smoke, peat, iodine and sea air...Finish long and smoky with tar and iodine"